‘The Urgency’ begins with that classic abrasive metalcore sound accompanied with some vaguely familiar sting bends… at first I’m thinking it sounds like ‘Suicide Note, Pt. 2’ off The Great Southern Trendkill, and as it turns out I’m not far off the money since this album openly pays homage to the previous PANTERA album ‘Far Beyond Driven’. 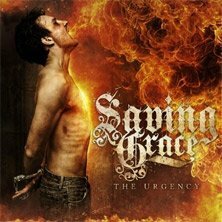 More than that, ‘The Urgency’ represents the energy and optimism that ‘Far Beyond’ injected into the metal scene. You’ll find details about that and more in the liner notes which give a deeper insight into the songs on this recording. Like ‘Far Beyond Driven’, ‘The Urgency’ shares similar brutal grooves – plenty of squealies and shreds too – but with 2014 metal production and a few bass drops thrown in for good measure. I’ll stop short of a track by track review, but I will say that if I was listening to this album on a tape the most worn out section would be the last 30 seconds of 1994 – truly epic. If you appreciate metalcore bands like CHIMARIA, and groove metal in the vein of PANTERA and MACHINE HEAD this is an album highly deserving of your time.